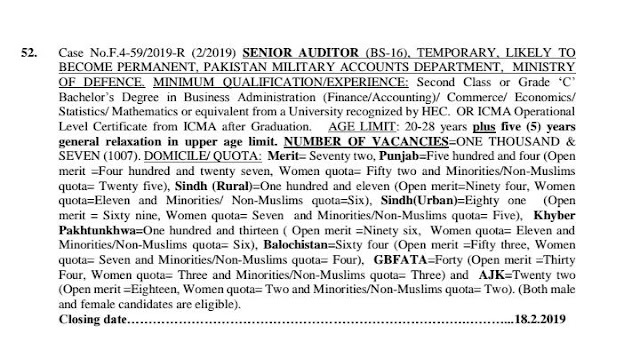 Federal Public Service Commission announced One thousand and seven vacancies for the post of Senior auditor (BS-16) For the nationals of Pakistan including GB, FATA, and AJK. 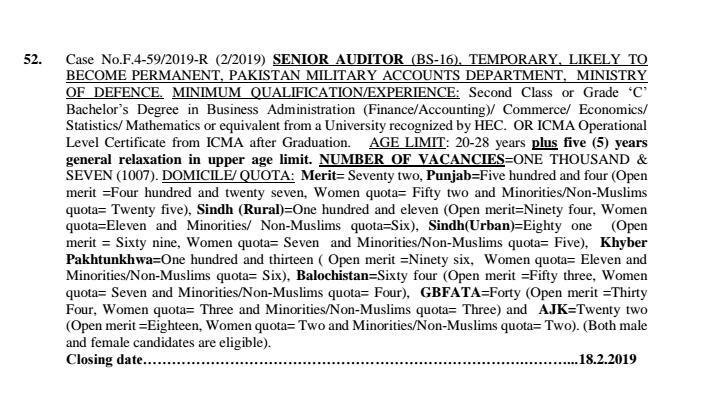 The last date for the submission of form is 18-02-2019. Further details are given below. Age limit: 20 to 28 years + five years relaxation in upper case limit. Qualification: Bachelor's Degree in Business administration (Finance/Accounting) Commerce/Economics/Statistics/Mathematics or Equivalent.